Today, we want to bring you one of the most important case- the use of platforms. – The whole process of parking the car is efficient and intuitive – says sales representative Kajetan Duszyński. – Very often, despite previous concerns, our customers are amazed at how easy it is to use MODULO Parking Systems. At the beginning, the user is properly trained by the property manager, which is usually indicated by the housing community. Every resident also receives a key / card / individual pin code for a specific parking space. There is always a short manual for each control panel. Instruction containing the maximum dimensions of cars that we can park on the parking platform. The control panel is equipped with light signals: orange light informs about a failure, green allows entry or exit from the platform. Importantly, it is not possible to remove the key when the platform is moving. This is prevented by the Security Key Locked system, which secures the removal of the key from the control panel until the platform move to its final position. We can do this only in final positions (up / down). 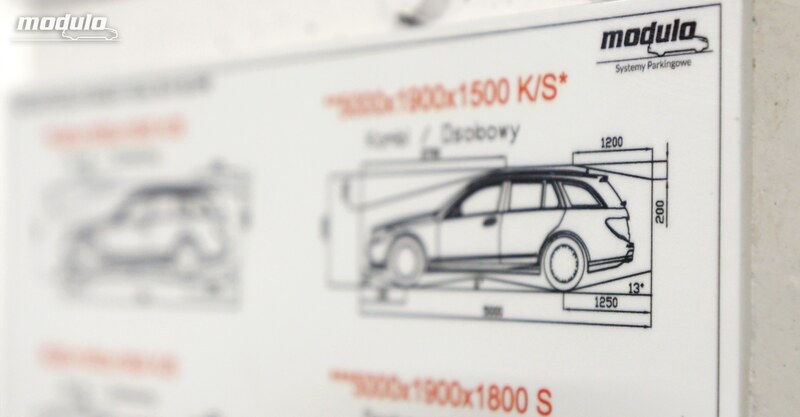 Thanks to the electric locking system, when the platform is raised, the car will not fall even with mechanical damage to one of the hydraulic components. 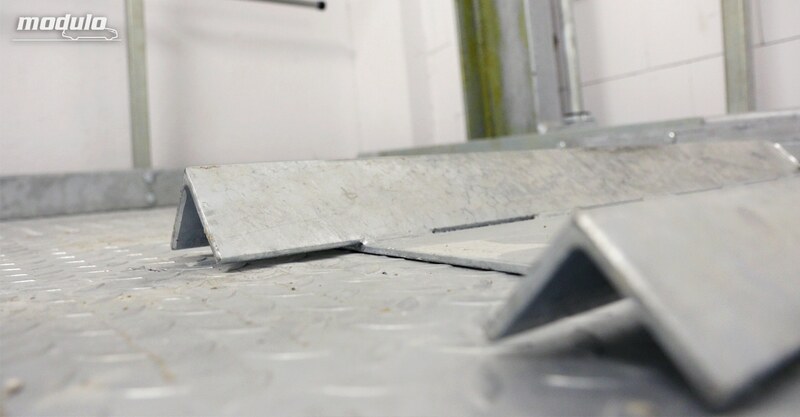 The rigid element of the sheet protects from driving out of the corners of platform like a kerbstone. An additional protection is a precise steel bump, which can be adjusted only with two screws. Even if the user change their car, we can adapt the bump easily. 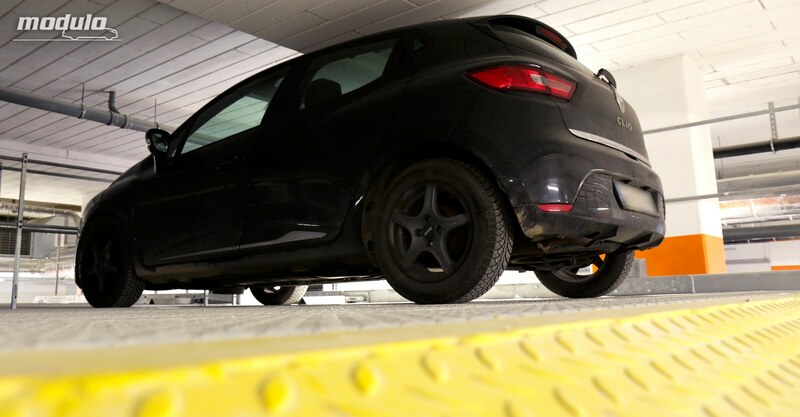 When leaving the vehicle on the platform, user should check two things: is the handbrake pulled and if the car is in the contour of the platform. To make it easier, the edges always have contrasting colors. 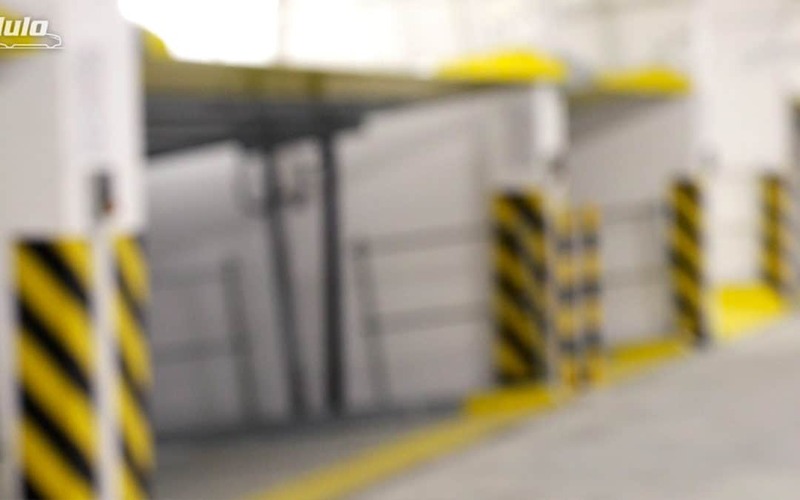 If the system is installed in a pit, barriers are very often an additional safeguard. 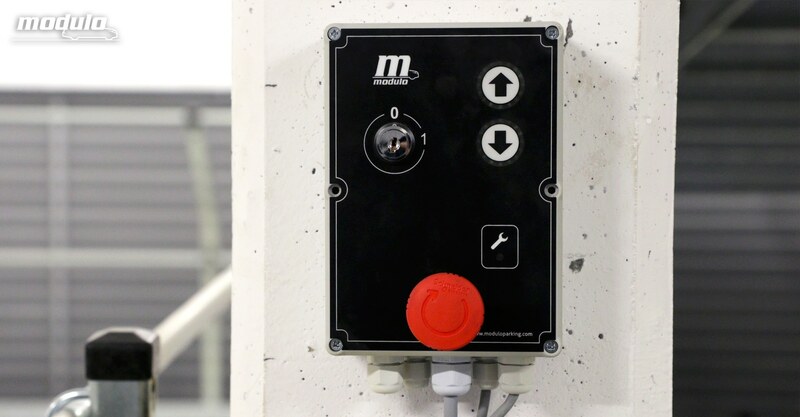 MODULO parking systems are not only safe, but also very convenient to use – says sales representative Martin Szargan. – The platform is made of even diamond plate sheet, which is very easy to drive on it. It also does not damage shoes, is easy to walk on it, which is especially important for women’s high heels.